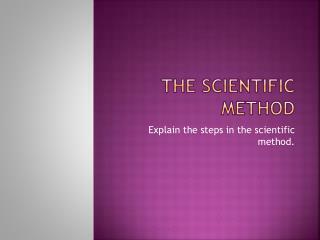 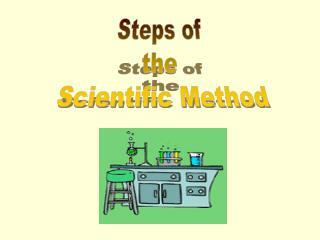 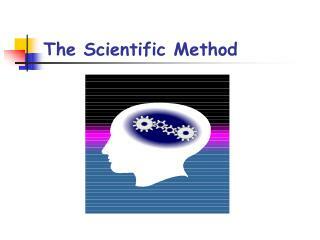 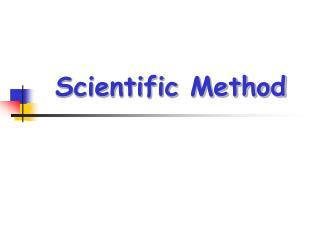 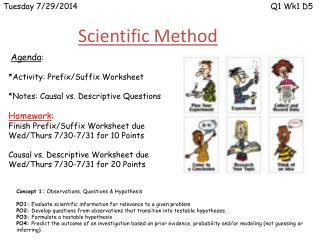 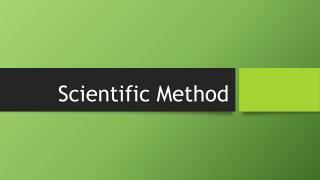 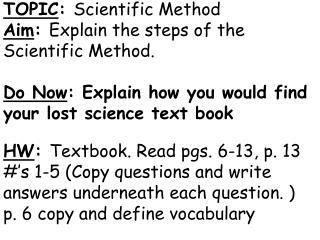 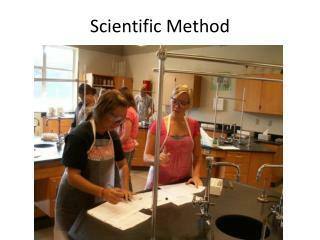 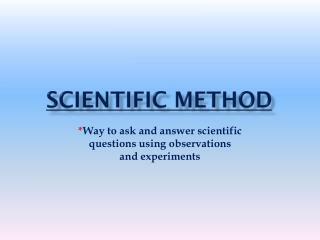 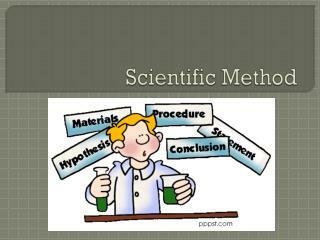 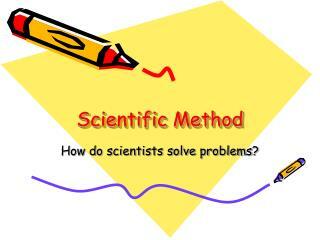 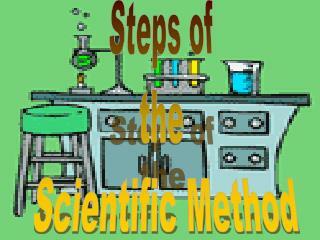 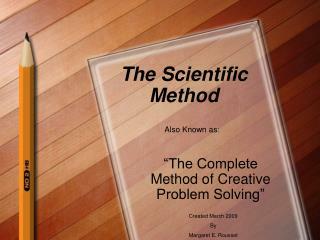 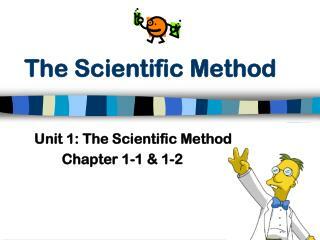 A presentation on the scientific method. 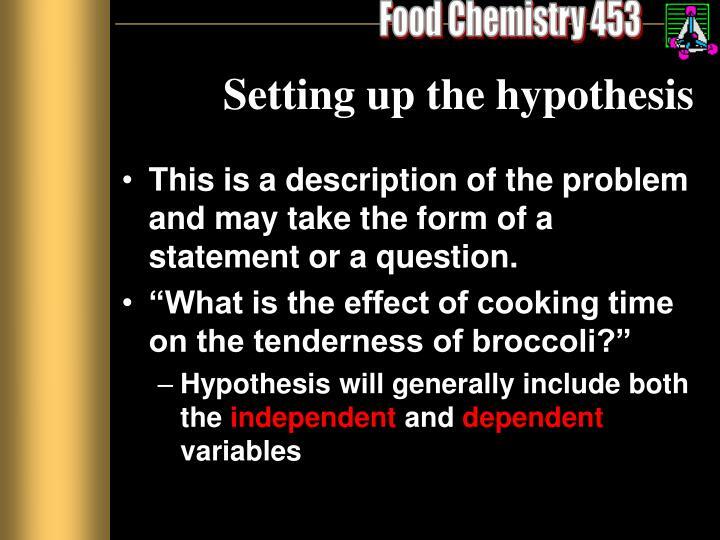 This is a description of the problem and may take the form of a statement or a question. 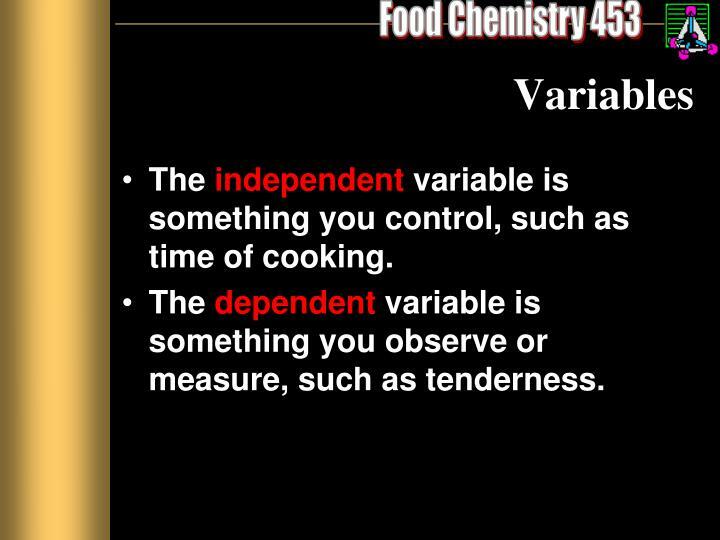 The independent variable is something you control, such as time of cooking. 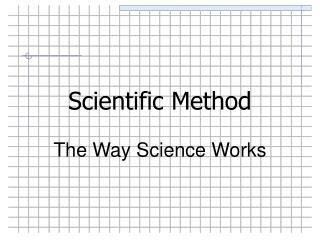 The dependent variable is something you observe or measure, such as tenderness. 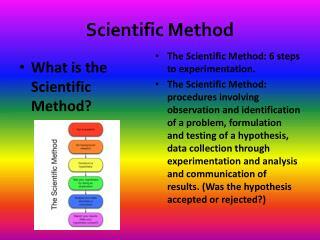 To do this we normally employ objective and/or subjective methods. 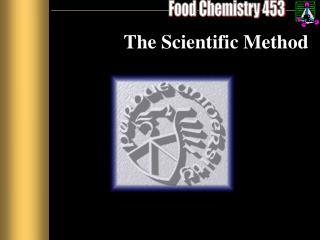 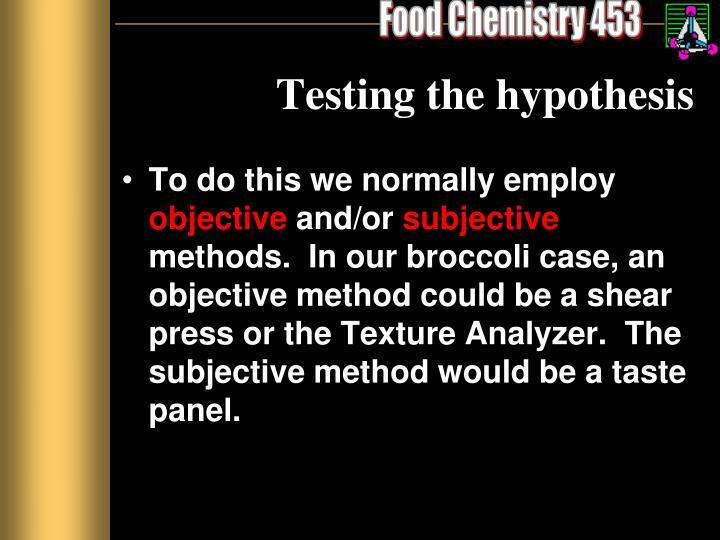 In our broccoli case, an objective method could be a shear press or the Texture Analyzer. 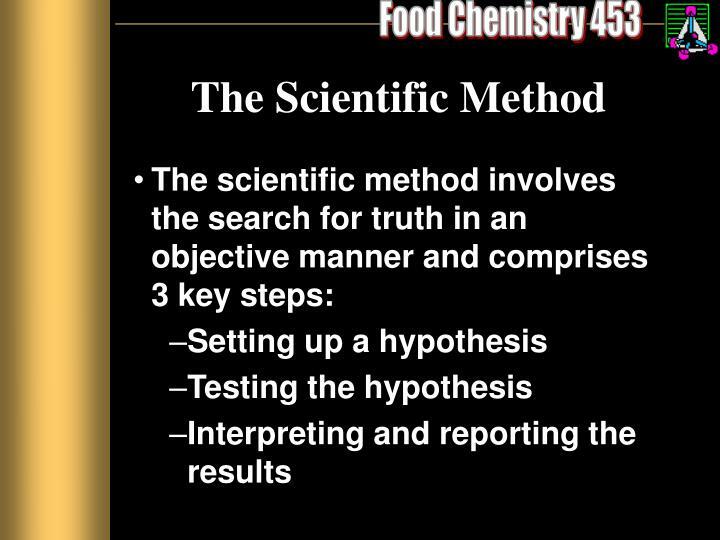 The subjective method would be a taste panel. 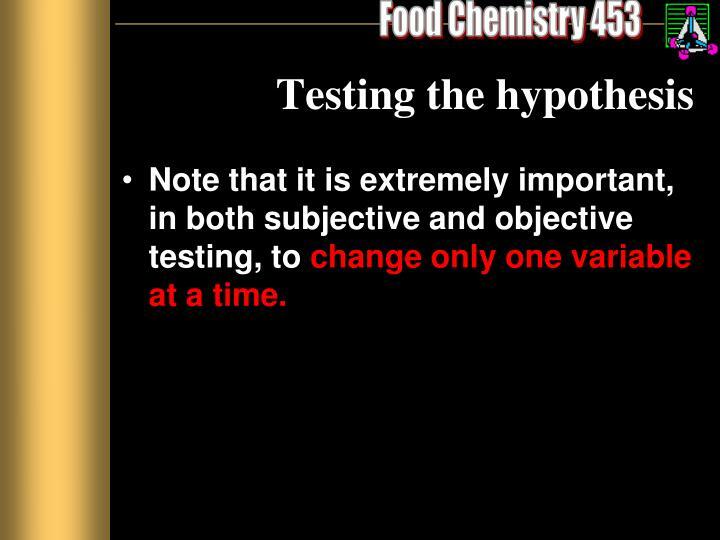 Note that it is extremely important, in both subjective and objective testing, to change only one variable at a time. 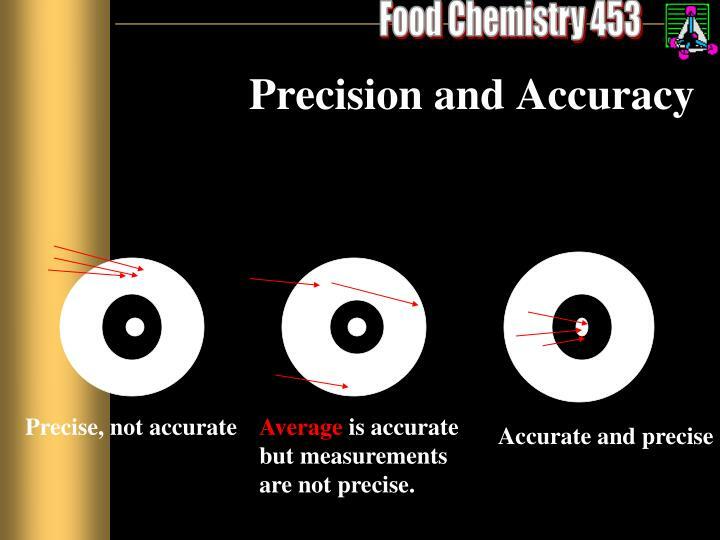 In doing your testing, you need to consider the concepts of both precision and accuracy. 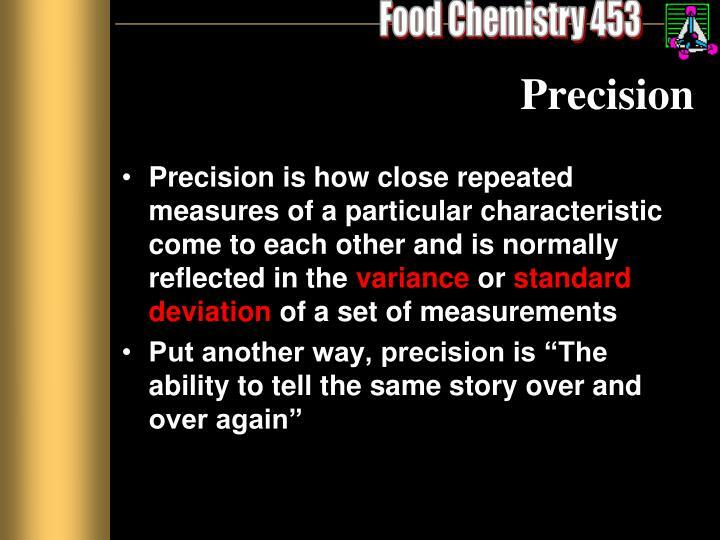 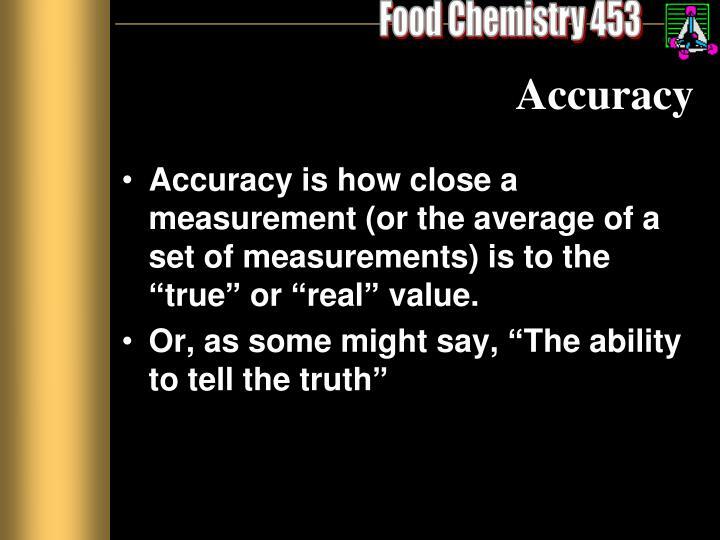 Accuracy is how close a measurement (or the average of a set of measurements) is to the “true” or “real” value. 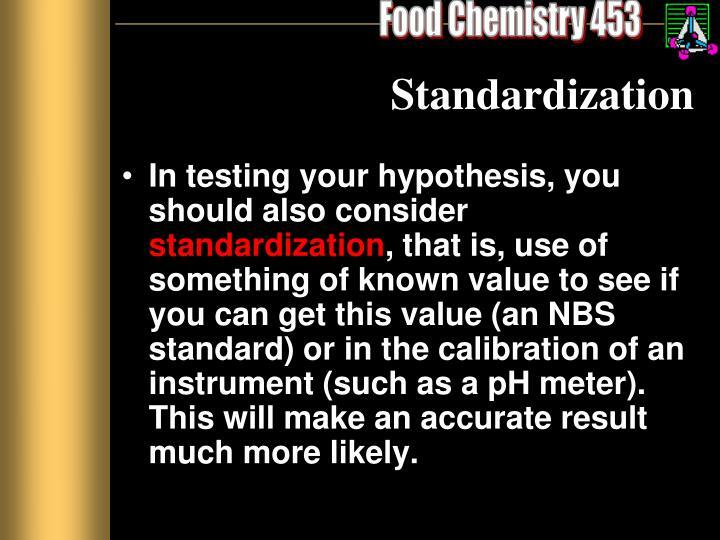 In testing your hypothesis, you should also consider standardization, that is, use of something of known value to see if you can get this value (an NBS standard) or in the calibration of an instrument (such as a pH meter). 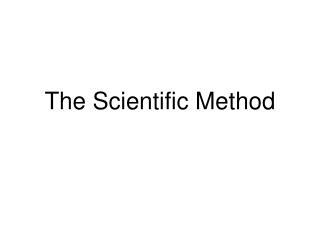 This will make an accurate result much more likely. 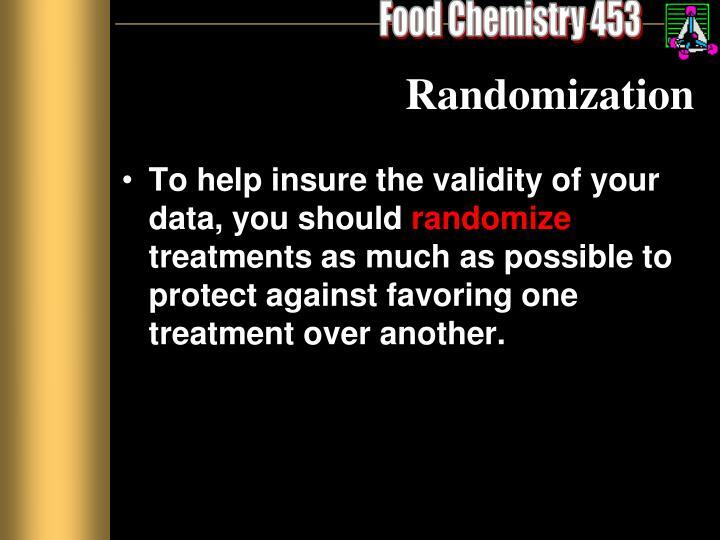 To help insure the validity of your data, you should randomize treatments as much as possible to protect against favoring one treatment over another. 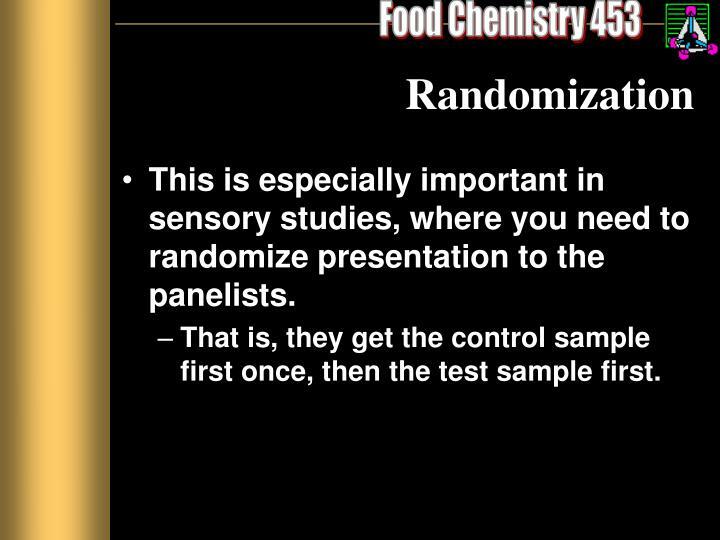 This is especially important in sensory studies, where you need to randomize presentation to the panelists. 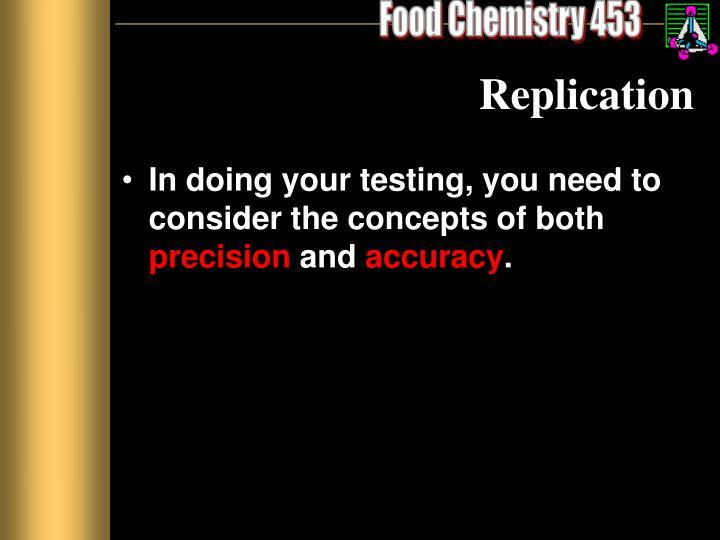 That is, they get the control sample first once, then the test sample first. 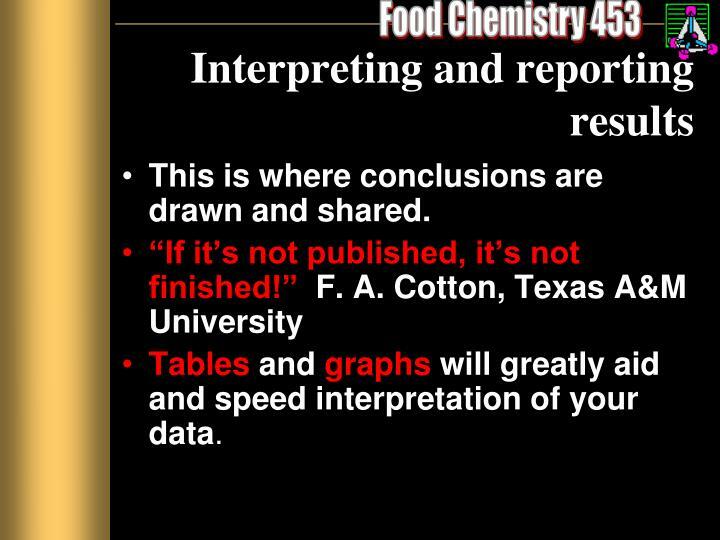 This is where conclusions are drawn and shared. 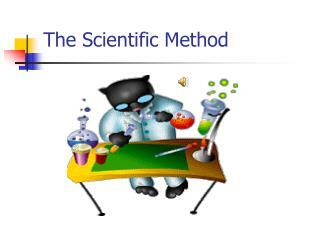 Tables and graphs will greatly aid and speed interpretation of your data. 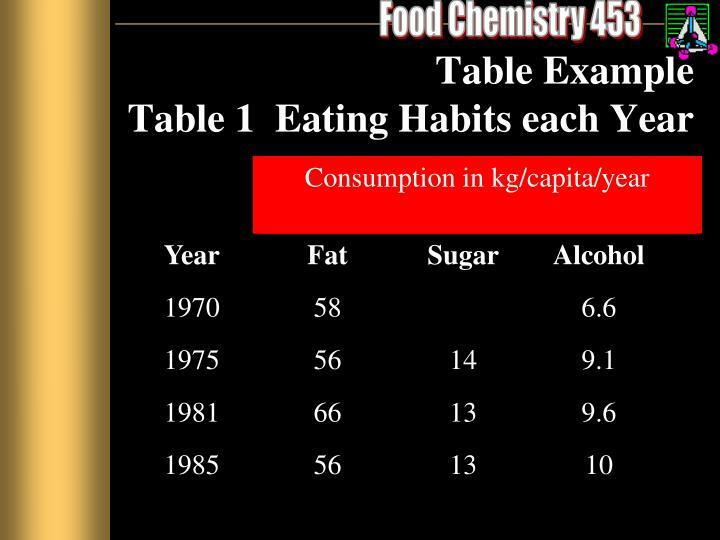 Tables and graphs should be understandable without reference to the text in which they are found. 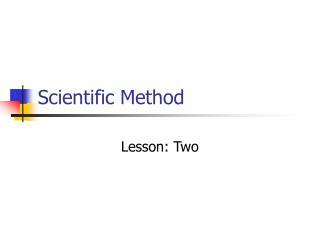 Therefore, you need a title. 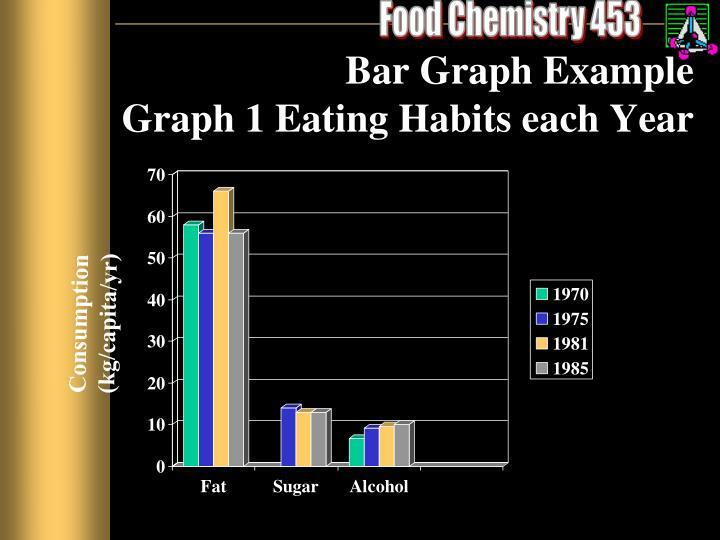 In graphs, axes need to be labeled with units. 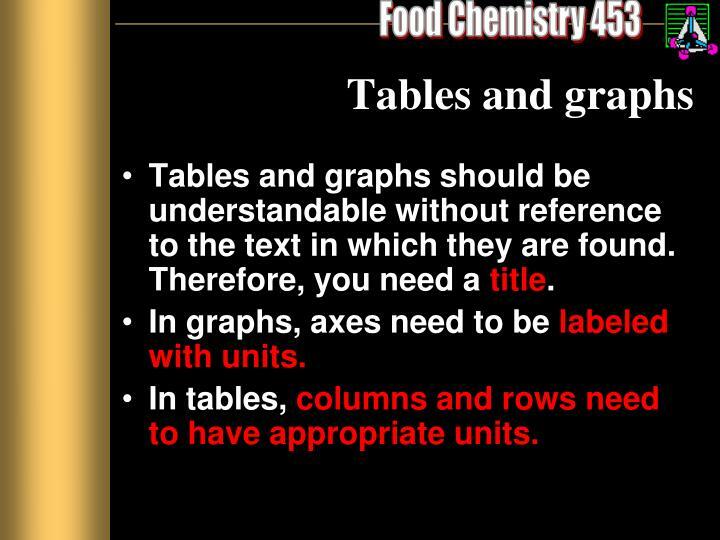 In tables, columns and rows need to have appropriate units. 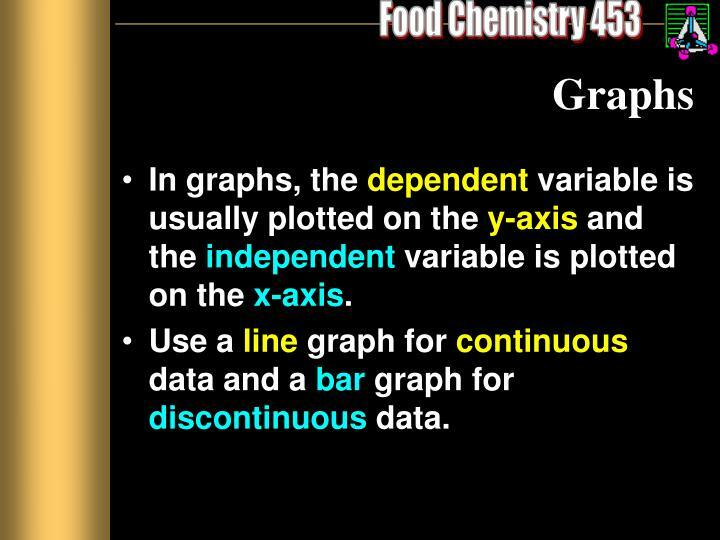 In graphs, the dependent variable is usually plotted on the y-axis and the independent variable is plotted on the x-axis. 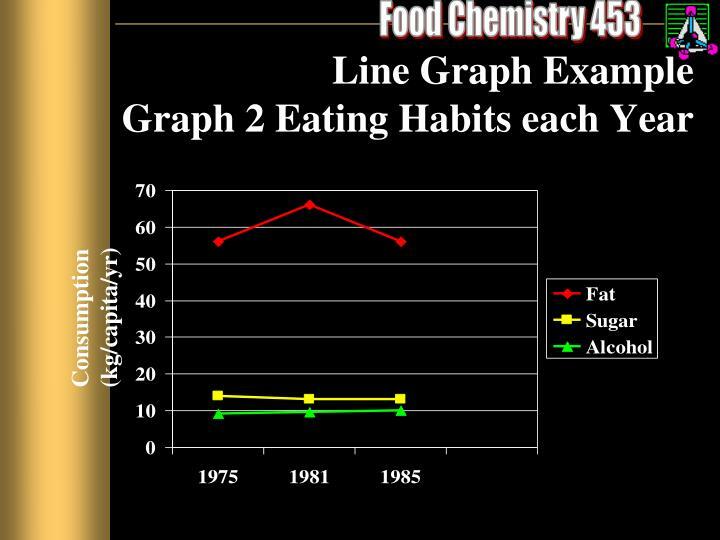 Use a line graphforcontinuous data and a bar graphfordiscontinuous data. 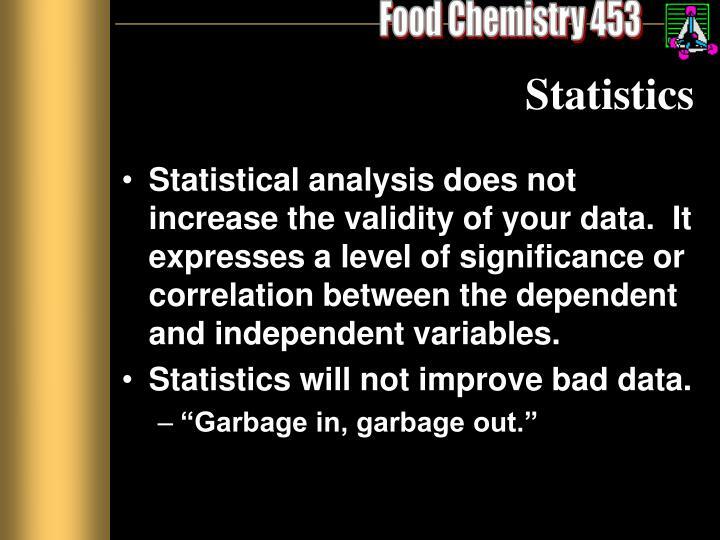 Statistical analysis does not increase the validity of your data. 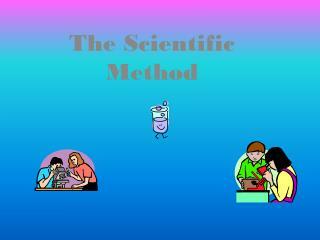 It expresses a level of significance or correlation between the dependent and independent variables. 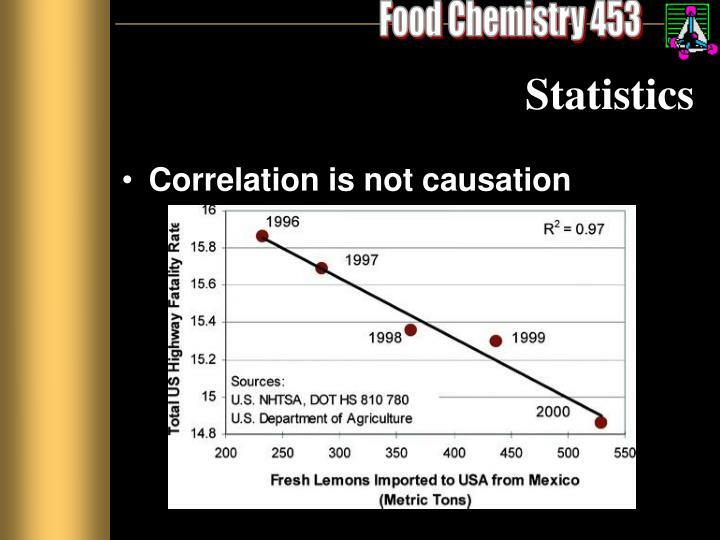 Statistics will not improve bad data. 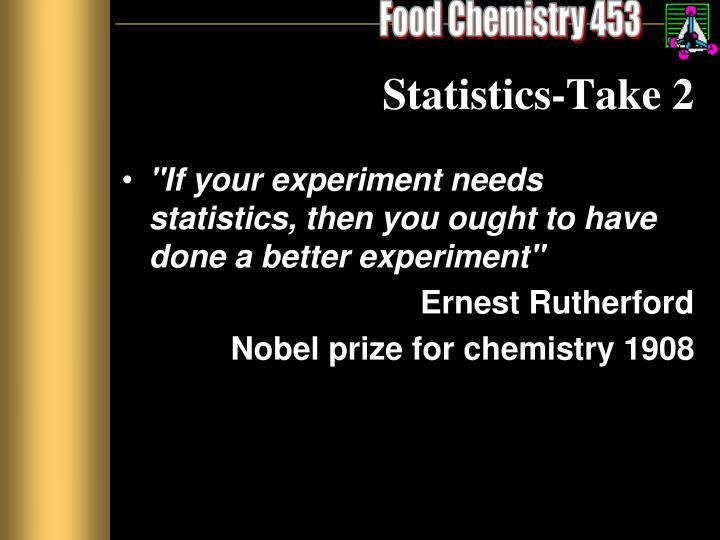 "If your experiment needs statistics, then you ought to have done a better experiment"